There is no doubt that the last year’s Moto Z Play was a beat regarding the battery performance and we are expecting the same with the upcoming Moto Z2 Play. The phone has already leaked as we got the official press renders and today, we have an exclusive leak of the smartphone that reveals the retail box design along with the box contents and the specifications. So, in this particular article, we will talk about the same thing. 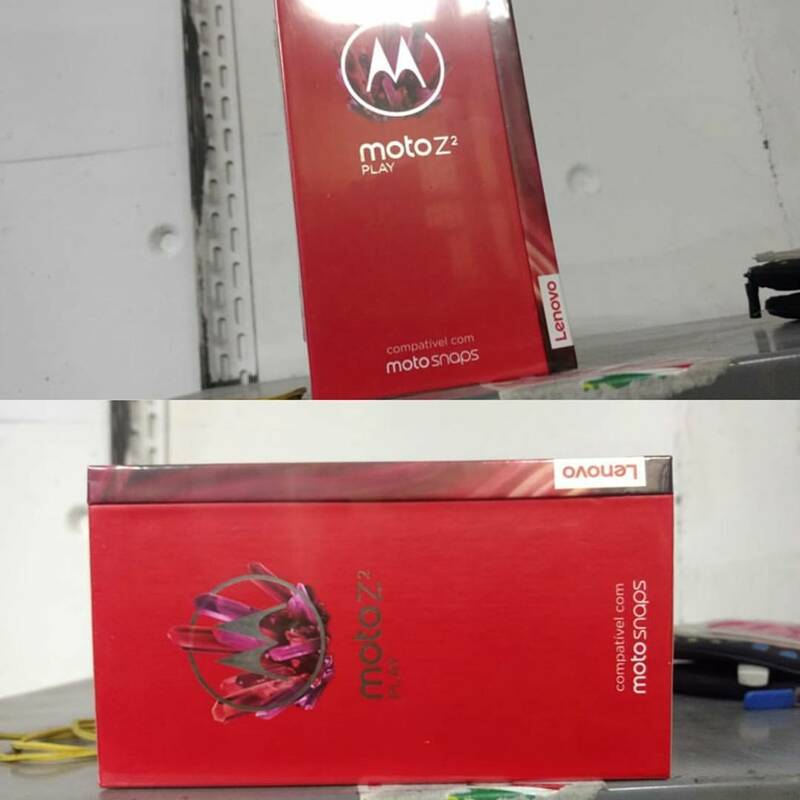 Starting with the retail box, it is in Red color with the logo of Moto Z2 Play on the front and below that, ‘Compativel com Moto Snaps’ or ‘Compatible with Moto Mods’ is written, revealing that Motorola is continuing the Moto Mods with upcoming Z series phones. And yes, we can also see the Lenovo branding. For the Glo data plan, check out this specs price Nigeria article. 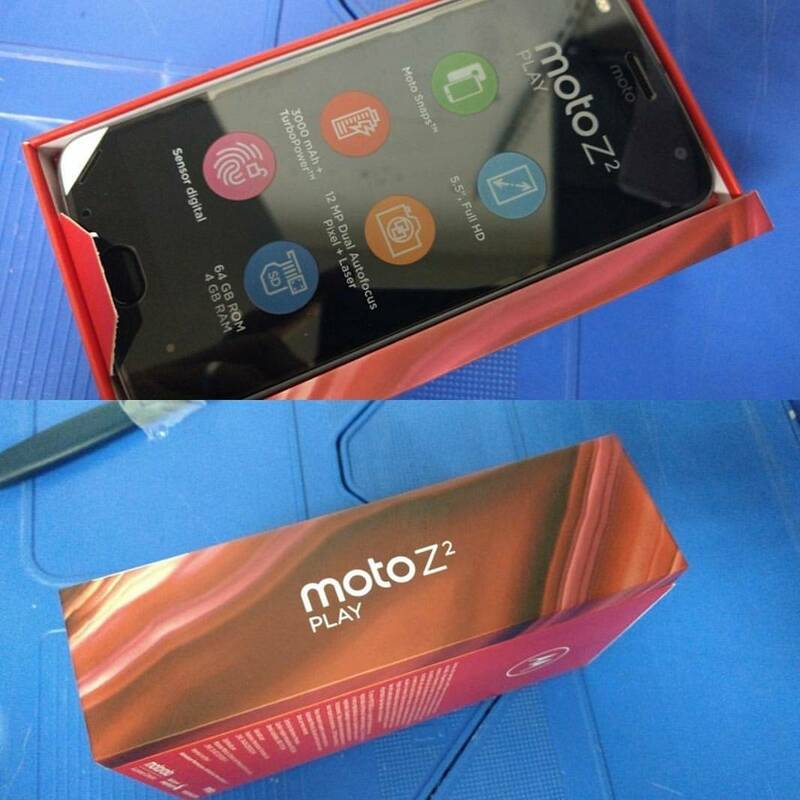 Talking about the box contents, the first thing in the box is the phone itself with the plastic on display with the Moto Z2 play specification mentioned on it. The specifications include a 5.5-inch Full HD display, 3,000 mAh battery with Turbo Charging feature, 12MP Rear Camera with Dual Autofocus Pixel along & Laser Autofocus. There is front facing fingerprint scanner that will work with gestures in the same way as on the Moto G5 and G5 Plus. Lastly, there is 4GB of RAM and 64GB ROM. Nothing surprising regarding the design of the Moto Z2 Play as we have already seen it via the press renders. Anyways, the phone has a new type of design on the back side as there is no textured finish like on last year’s Moto Z Play. There is the same round camera module with Dual LED flash and below that is the Motorola’s Batwing logo. The pins for attaching the Moto Mods on the bottom side on the back. The volume rockers along with the power button are on the right side, just like last year’s Z Play. Inside the box, there is the Turbo Charger along with USB to Micro USB cable and earphones along with the paperwork. 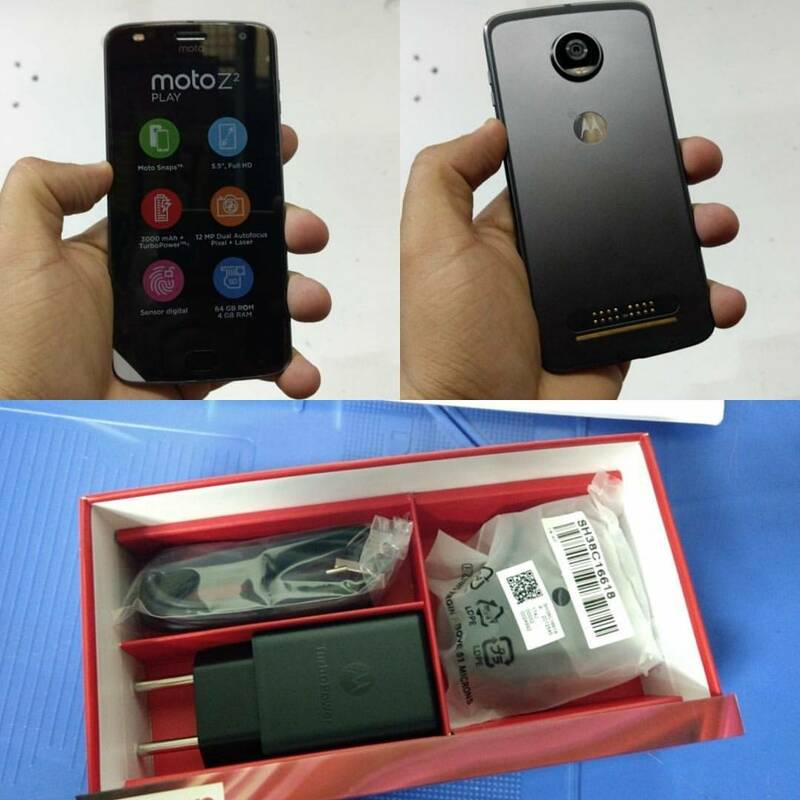 So, that’s all about this exclusive leak of the Moto Z2 Play? Are you excited about the device? Do let us know via the comments section.